Welcome to All Sensors “Put the Pressure on Us” blog. This blog brings out pressure sensor aspects in a variety of applications inspired by headlines, consumer and industry requirements, market research, government activities and you. In this blog we’ll be discussing cows and the role pressure sensors play in automatic milking systems. Since the first commercial automatic milking systems (AMS) appeared in 1992, sensing has been an increasingly important aspect to monitor and control the milking process. In fact, guide lines for automatic milking were developed and approved for AMS and the associated sensor technologies within the framework of the International Standards Organization (ISO20966, 2007). In contrast to a traditional process, that typically involves milking cows twice a day using automatic pumps that have to be manually attached, the automated or robotic systems allow motivated cows to enter as many as four or five times a day. While relieving the pressure of milk in their udders could be a factor, the incentive of food during the process is certainly critical, too. To take advantage of the latest technologies in sensing and other related areas, the first International Precision Dairy Farming Conference was held in 2016, in Leeuwarden, the Netherlands. Cows are an increasing part of the internet of things (IoT). 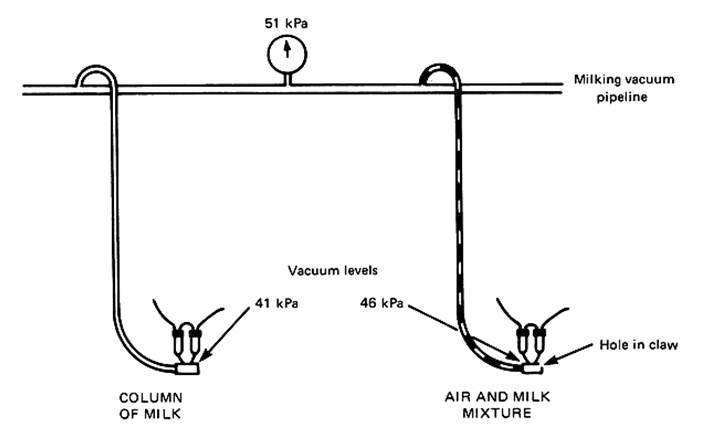 In the milking process, vacuum is used to extract the milk and is the main milking machine factor affecting milk flow rate. Common practice uses a level of about half atmospheric pressure (i.e., 40–50 kPa, 300–375 mm/Hg). In addition to pressure sensing for the vacuum, flow rate and pump monitoring in the system, other sensors include RFID, temperature, conductivity, color and more. Welcome to All Sensors “Put the Pressure on Us” blog. This blog brings out pressure sensor aspects in a variety of applications inspired by headlines, consumer and industry requirements, market research, government activities and you. In this blog we’ll be discussing artificial waves created by underwater gates and hydraulic pumps. If you are not lucky enough to be within an easy drive from an ocean, a few companies make machines to generate waves, so you can surf where you live. The oldest location in the U.S., called Big Surf (1969), is in the middle of the desert in Arizona. With 15 underwater gates and hydraulic pumps, 50,000 gallons are released in 1.7 seconds creating 40-foot wide, 5-foot high waves that advance over a 2 ½ acre pool. The waves occur every minute. Surfing in the desert. Courtesy of Big Surf. One wave machine manufacturer uses air pressure to create a variety of waves with reproducible point, beach and reef breaks. The largest waves generated by wave machines are about 3 meters (9.8 ft). In addition to pumping the water to heights of 9m (29 ft) or so, the pumping system also pushes the water through filters to keep the water clean. Pressure sensors can be used at various points in the system to monitor the status of the process.